Completing each subcraft gives you a reward – even when you are not able to do all the crafting, try to do a single subcraft. Subcraft rewards are often useful in another subcrafts of the same craft, so it’s a good idea to plan the sequence of your actions. 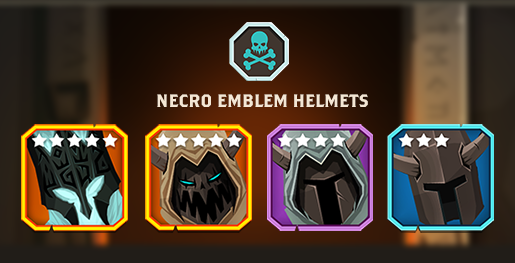 Remember that emblems are also present in rare and epic gear. Use them to meet the requirements regarding min / max number of emblems – then you can use legendary items to meet other criteria. Have in mind, that all the more rare items can easily be obtained in battle and marketplace! Some epic items (especially those from main hand, off hand and chest slots in the inventory) have similar potentials to weak legends – use them to save your legends until absolutely necessary. Especially with the legendary tokens, it is worth keeping an eye out for items, that can be used in a different way. 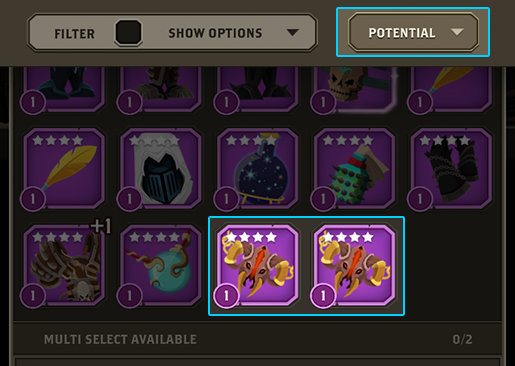 It’s a good idea to make tokens out of items with the lowest potential, using the duplicates in the first place. That way you will have a lot of useful items to choose from, which can help you with meeting the craft criteria regarding emblems and potential. A good (but time-consuming) way of obtaining tokens, is to exchange lower quality tokens for the better, starting with the uncommon token. Common items are easy to acquire from the battle, uncommon can be bought in large quantities in the shop. Chests are the main source of gear – both event chests and eternal ones. However, for each legend that can be found in those chests, falls few or more items of epic and rare quality. 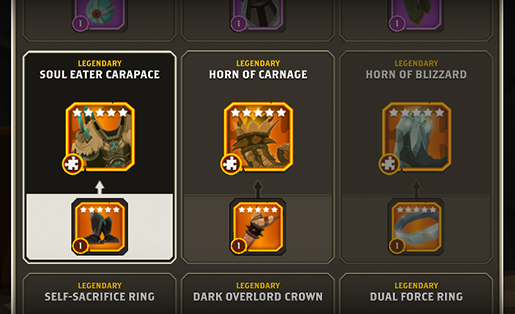 There are craft challenges available which allow turning rare gear into epic gear (key), and epic gear into weaker legendary items (also a key). If you possess a boosted item, remember that you can use Divide to break it into parts. You can then combine those parts into several separate items, some of which you will use in craft. The rest of these items can be left available for the future. 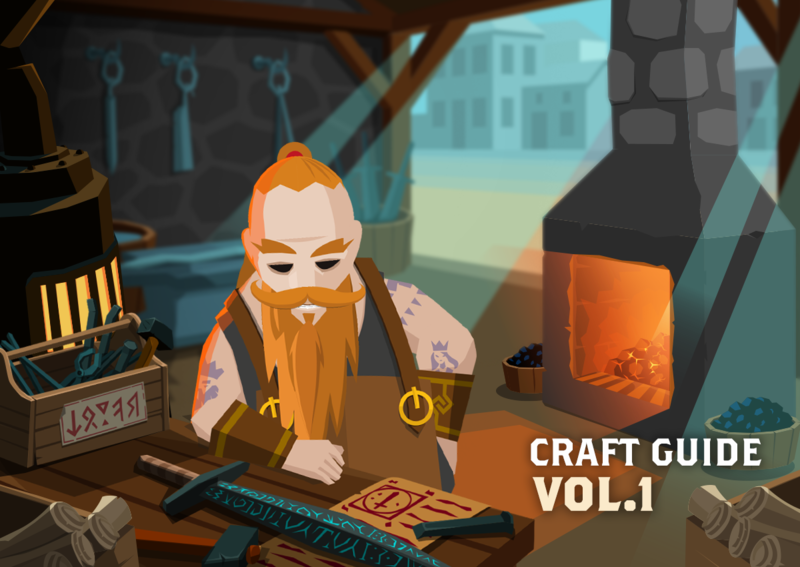 Also keep in mind, that if you use upgraded gear in crafting, you will not be refunded the currencies used for it. 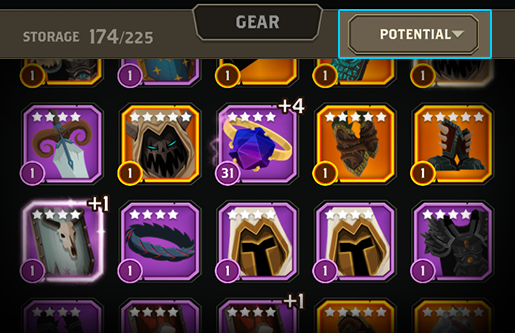 It’s generally a good habit to Divide gear to 1st level before using them in crafting. Items of rare and epic quality can be obtained from: Battle (item parts) and the Marketplace. Extracting is an additional source of epic and legendary items. Extracting for 50 tools will get you 1 part of the item you are extracting. This is especially useful when crafting requires boost. Next post: KEEP YOUR HERO SAFE!